Manufacturer of Inductrial Hardware Products Supply. 2. Full port / standard port. 3. T type / l type. 4. ISO 5211 mounting pad. 5. Material: astm a351 cf8m. 1. Working pressure: 1000psi / Pn 63. 2. Working temperature: -29°F~ 400°F( -20°c~ 200°c). 3. 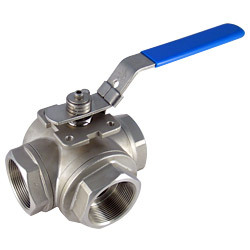 Size: 1/2"~ 2" (Dn 15~ Dn50).